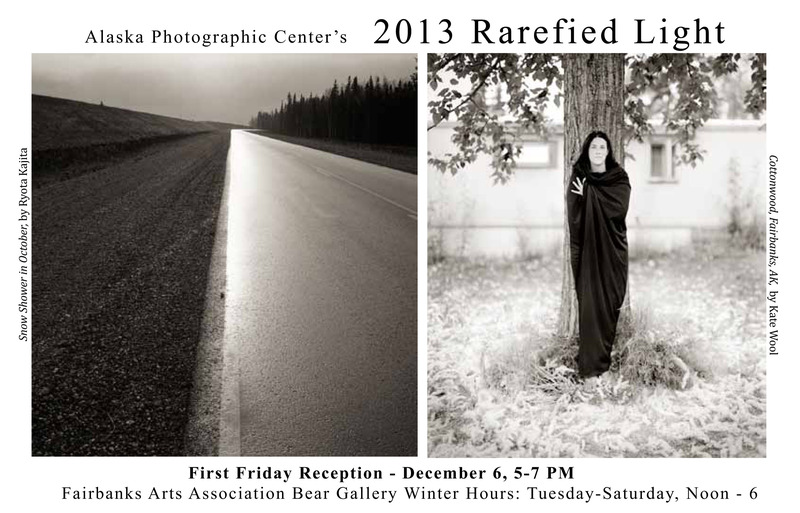 Please join us this December as we welcome to the gallery the 2013 Rarefied Light exhibit from the Alaska Photographic Center in Anchorage, AK. Bear Gallery, 3rd floor of the Alaska Centennial Center for the Arts, Pioneer Park, 2300 Airport Way. For more information, please contact Jess Peña at 456-6485 ext. 226 or jess@fairbanksarts.org.